Have you ever wondered how much that stoic face staring down from the frame atop your fireplace mantel piece is worth? Did you inherit a piece of art from a loved one? Purchase a painting or bronze at auction or yard sale? Or perhaps you have a piece of art that you would like to buy or sell and you wish you had more information on the artist such as a biography or the value etc, we can help. Remember: The most valuable thing to us is you, our customer, and because of that we want to provide you with the most accurate art appraisal available on your paintings and bronzes. Please don’t settle for a verbal appraisal from a so called expert art appraiser or a friend’s opinion when professional help is a phone call away. You know a verbal appraisal is not worth the paper it is not written on. Who knows, the work that you didn’t have examined by an expert Art Appraiser may be worth hundreds of thousands of dollars. Believe me I have seen this happen more often than you might think. 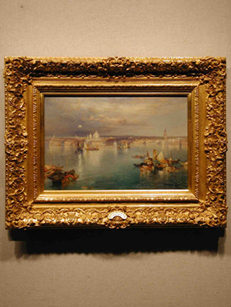 We are expert fine art appraisers and can provide accurate art appraisals on a variety of types of artwork. There are approximately 700,000 professional artists painting in the world today not including the deceased artist and no one can accurately appraise art simply by looking at it. Even on our favorite art appraisal TV show the appraisers have researched the artwork prior to air time or they would not be able to provide exacting information. When having a piece of artwork appraised it’s important to remember a professional appraisal is only as good as the dedication and professionalism and the amount of research time allowed. What is an Art Appraisal? A professional art appraisal is the examination of a work of art to determine its value by a qualified professional. During the process a number of factors are taken into account by the appraiser. Avondale Galleries will provide an accurate and honest appraisal document. Art Authentication may be required on more expensive original paintings and original drawings to establish there provenance. Please note that an art appraisal is not the same as art authentication. 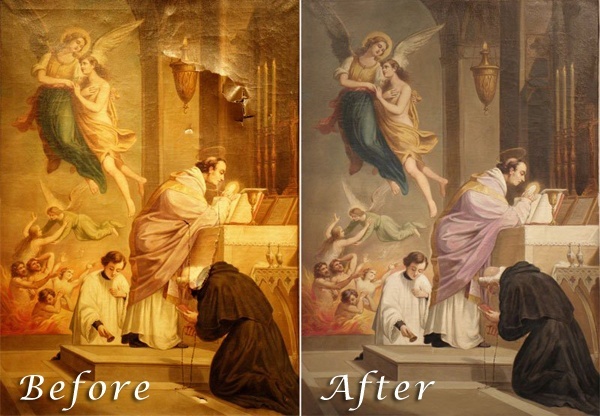 Avondale Galleries Art Restoration Services is happy to provide art authentication services for you. 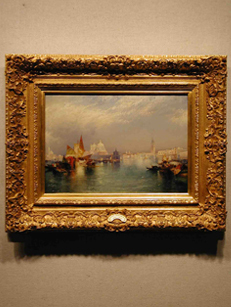 This is after an art appraisal has been completed and the authenticity is questioned or a provenance is required to document the history of an original work of art.